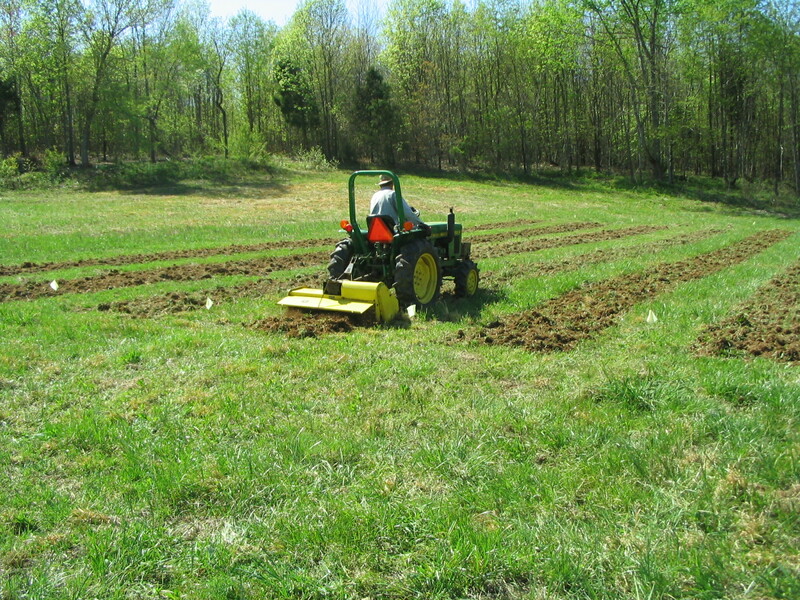 Dad brought his tractor and tractor-mounted tiller down to the farm and spent two days tilling up the field. So much more efficient than our little garden tiller! Thanks, Dad! Looking south. There are three sections of rows east to west. 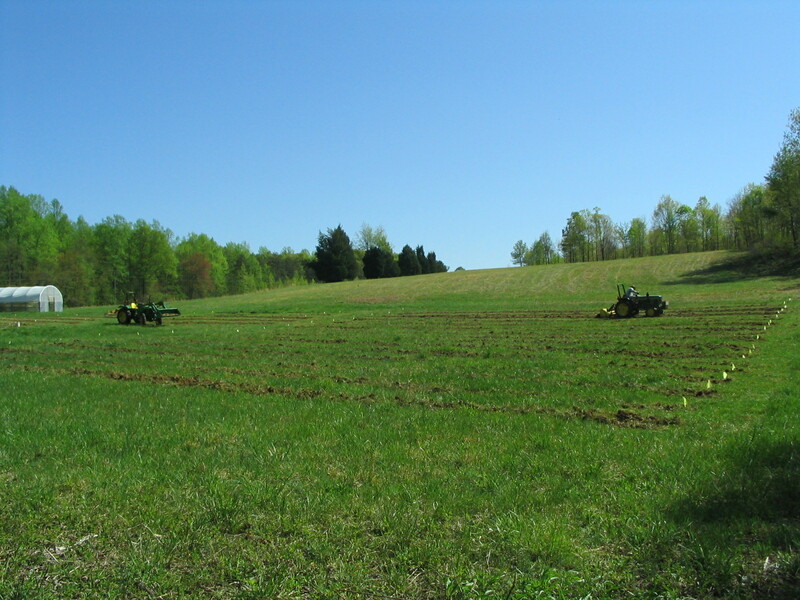 Two sections of 45′ rows and one section of 90′ rows. 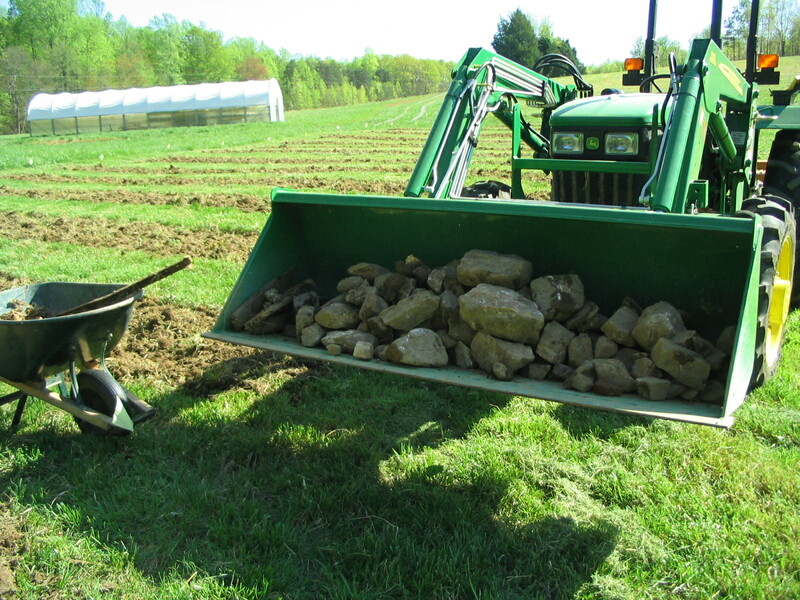 Gavin pulled out many head-sized boulders that the tilling unearthed. 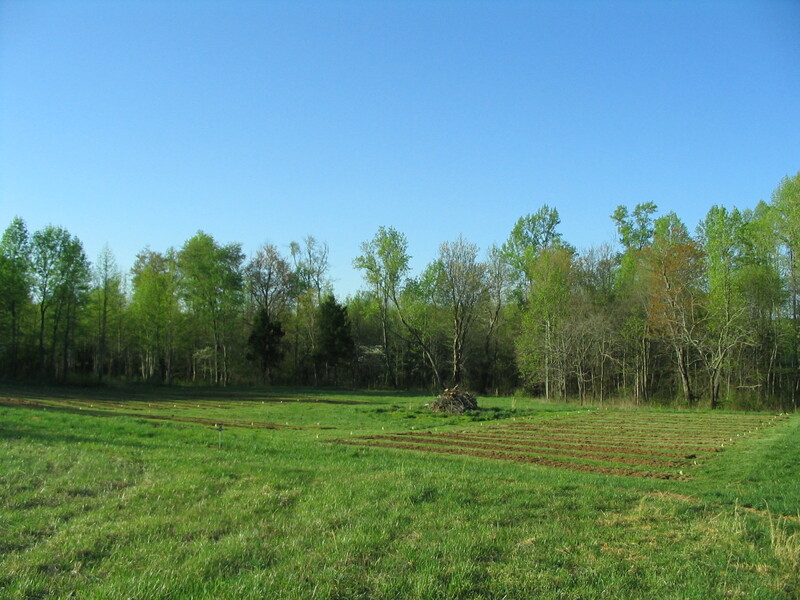 Here is the completed field. We’ve got our work cut out for us now!